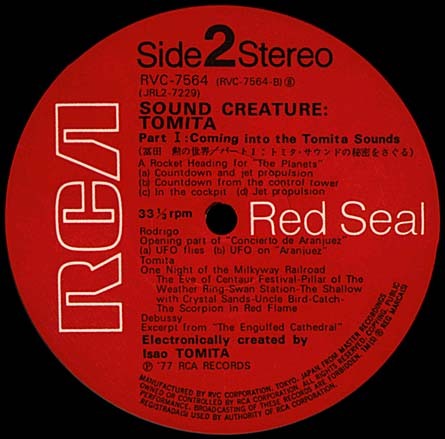 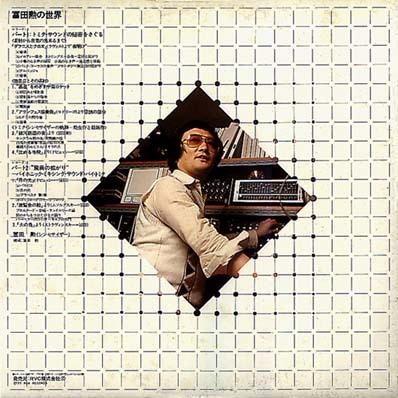 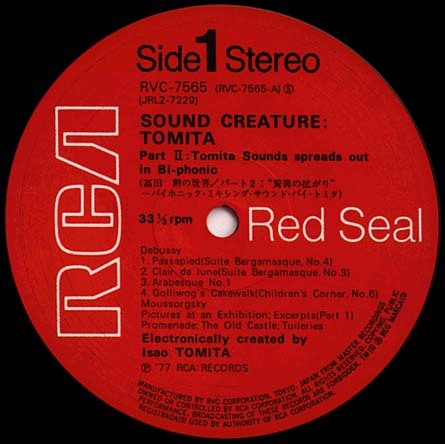 With this apparently unique work, Tomita takes apart several of his own recordings, including 'The Planets', 'Kosmos' and 'Daphnis et Chloé', stripping them down to their fundamental constituent parts, and illustrating, in sound and pictures, how the finished pieces were created. 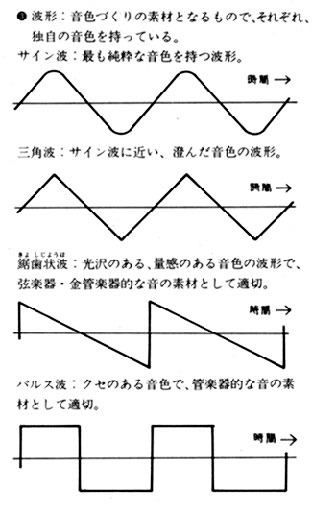 The listener is taken from the raw oscillator tones, through the filtering and envelope-shaping and manipulating of the sounds, until they resemble the familiar parts and lines from the final pieces. 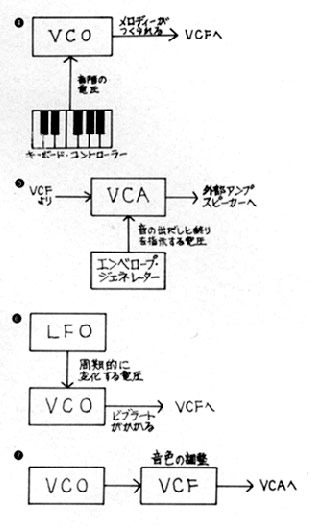 No detail is omitted, down to the effects processing and stereo placement of the completed examples. 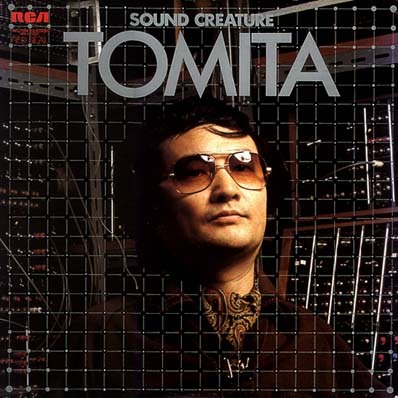 It is, for Tomita fans and synthesiser buffs, a fascinating journey through the creative process, although the depth to which Tomita goes are such that perhaps even the most ardent fan's attention span is tested. 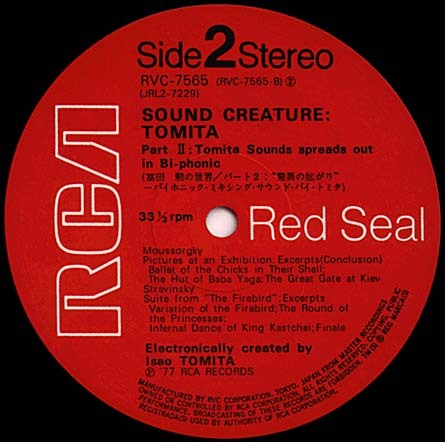 It was only released in Japan, and has as yet not been reissued on CD. 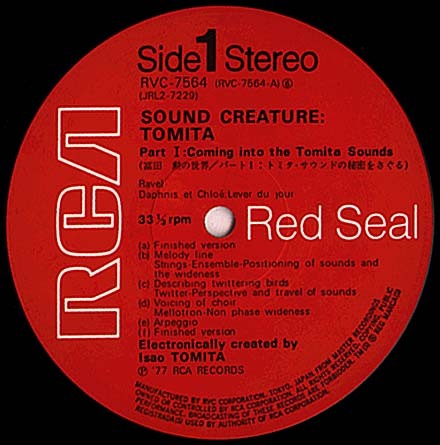 I haven't had a chance to integrate these images into the Sound Creature section yet but here are links to the track listings on the actual LPs themselves, and some more diagrams from the album. 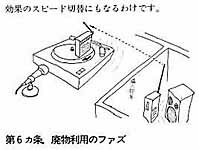 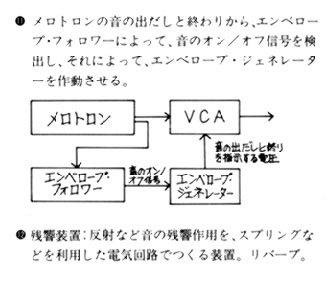 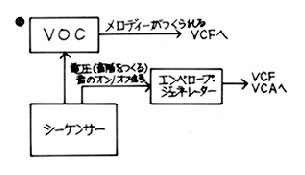 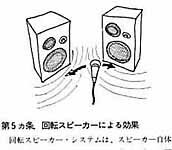 If you can read Japanese, you may be able to understand what's going on in the diagrams too! 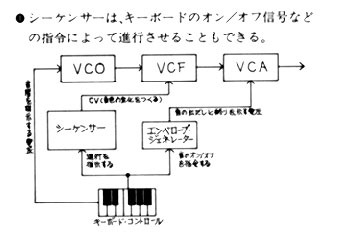 Some sketches from the booklet, illustrating the concepts behind the music. 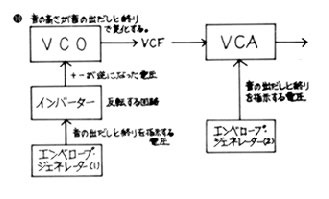 plug-in and Quicktime VR component files.